Physics are the one of the compulsory subjects in Advanced Level in Maths and Science stream. Following are the past papers of the Physics in GCE Advanced Level examination which is very important in your Advanced Level Studies. 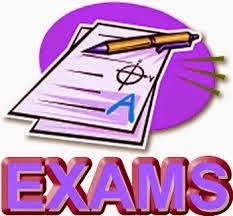 Following past papers consists in the year of 1989 to 2000 ,which was collected by Engineer Tilak de Sliva web site. Even this past papers are little bit old this will also provide necessary knowledge in Physics stream. Since by referring this past papers will help you to improve your exam writing skills.